I've been wanting to write one of these posts for such a long time now, it's definitely overdue! 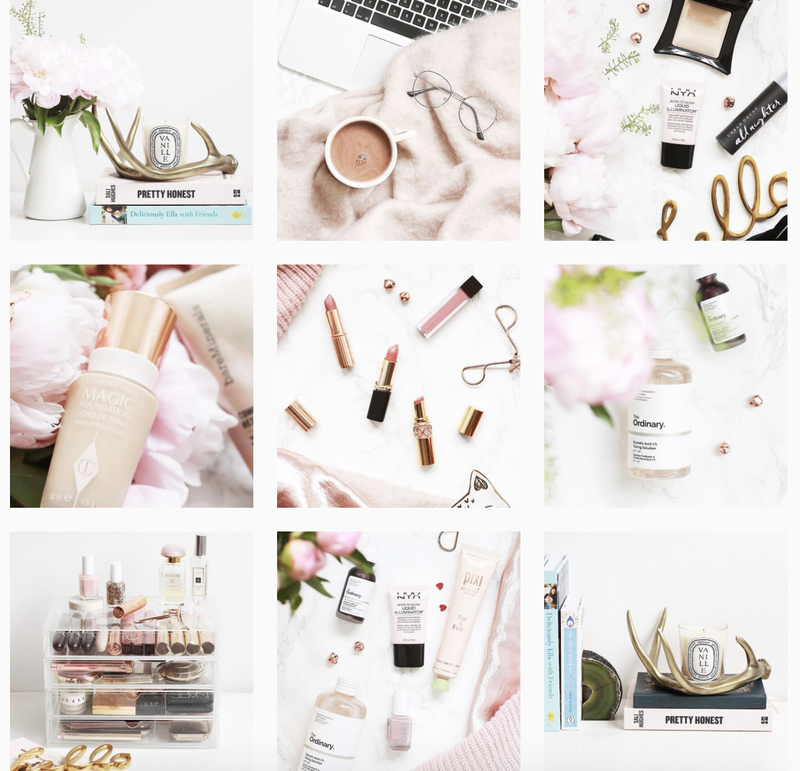 I'm going to share with you some of the most beautiful Instagram accounts I've found during my 7 months on the 'gram, the accounts that inspire me every day to try to take better photos and produce better content. I hope they will inspire you too! I thought I'd kick this post off with my all time favourite account, Franciscamayyy. 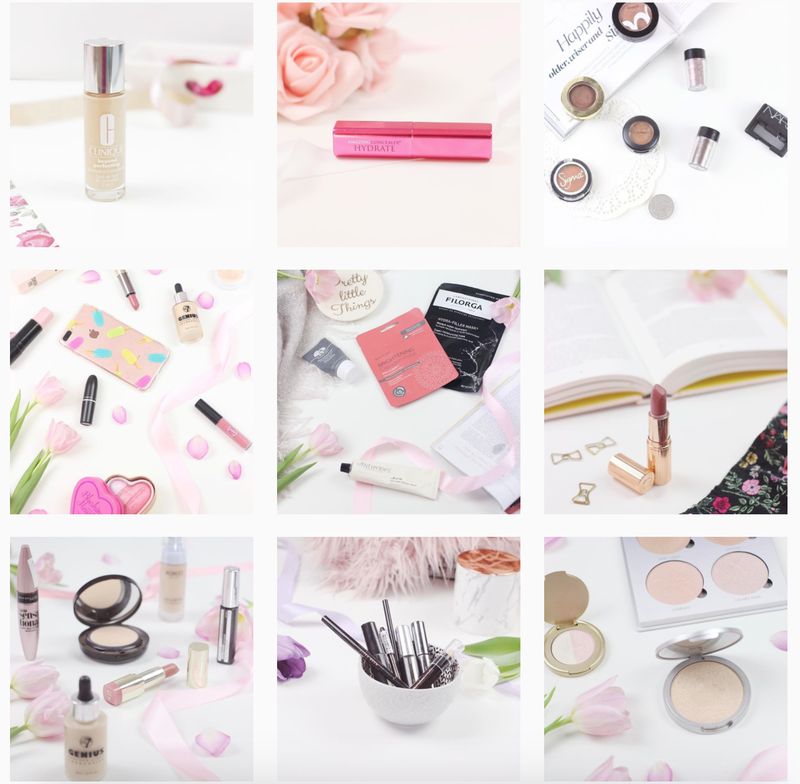 Fran manages to capture the beauty in everything, she can make me buy products I had never even considered previously with just one of her beautiful photos, which is both amazing and tragic for my bank account! She produces consistently stunning photography, so I actually find myself looking forward to her posts everyday. I also have to add that she is honestly one of the nicest people I've ever spoken to, she's so supportive and kind and completely adorable, I feel blessed to be able to call her a friend. 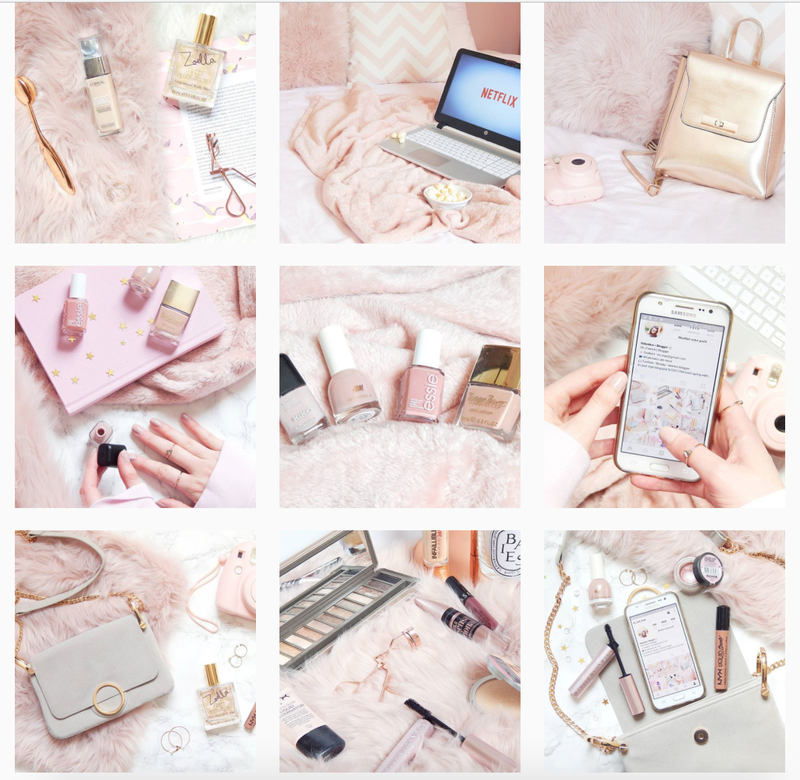 Catherine's feed reflects the way the world looks in my dreams, it's pink and gold and sparkly and completely beautiful. In addition to being an amazing photographer and blogger, Catherine also makes the most stunning cakes I've ever seen (including those little cupcakes in the screenshot above), is there anything she doesn't do amazingly well?! She's a beautiful person, inside and out, so go and give her a follow! 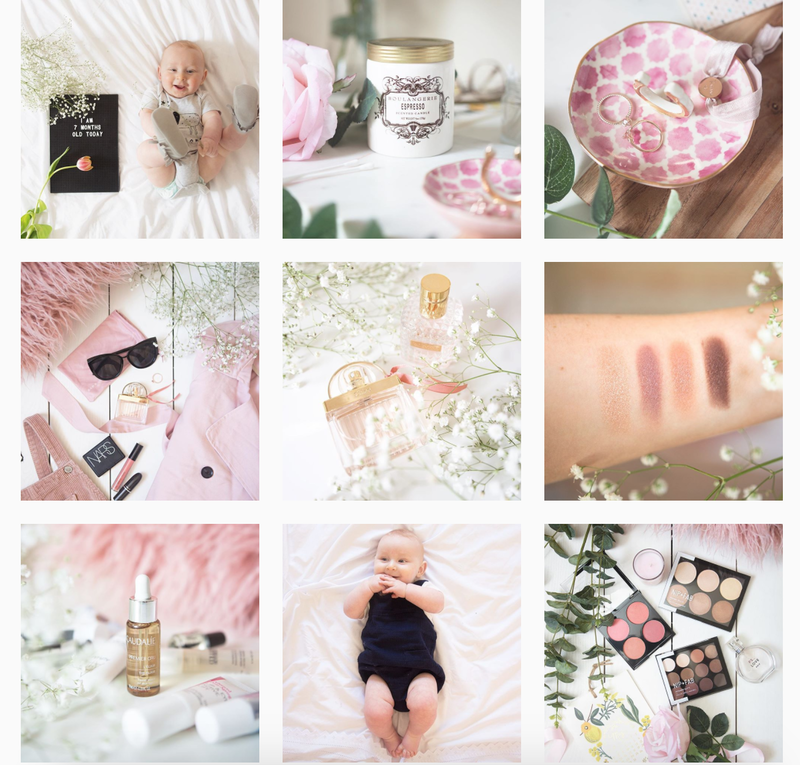 Gemma takes some of the most stunning beauty flatlays on the whole of Instagram, in amongst photos of her adorable little boy, and her flawless makeup looks. Gemma's feed has a perfect variety of posts, so you never get too much of any type of image, just the right amount. 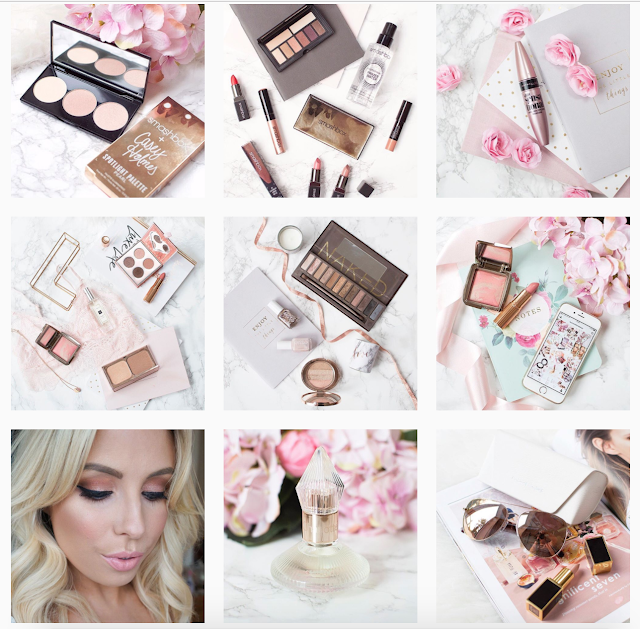 Her photos manage to be feminine without being overly pink, which is a skill I am yet to master! I've been following Valentine since I first started my account, she's been a big source of inspiration to me. 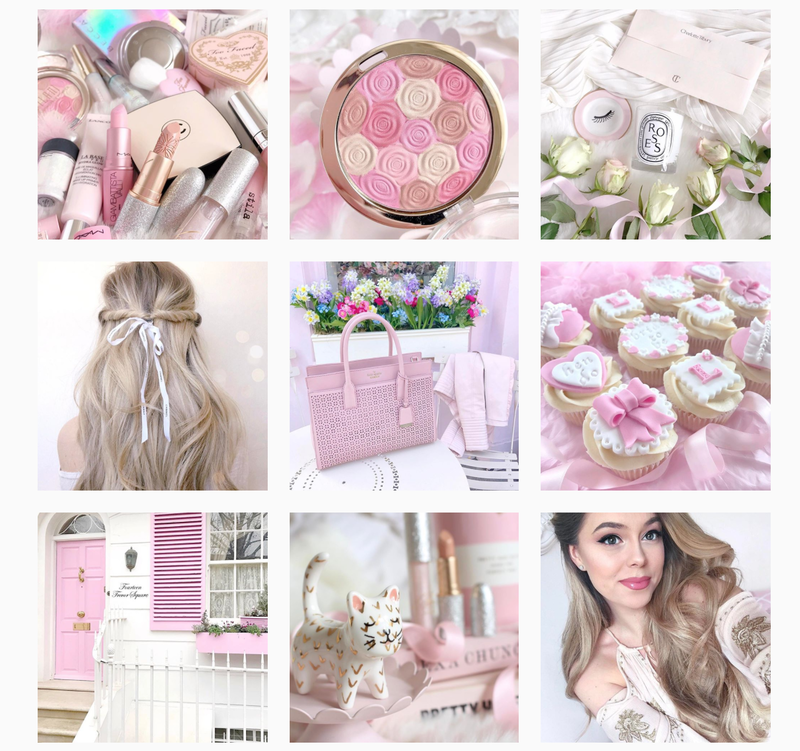 Her pastel toned images are soft and dreamy, I feel a sense of calm as I scroll through her feed. 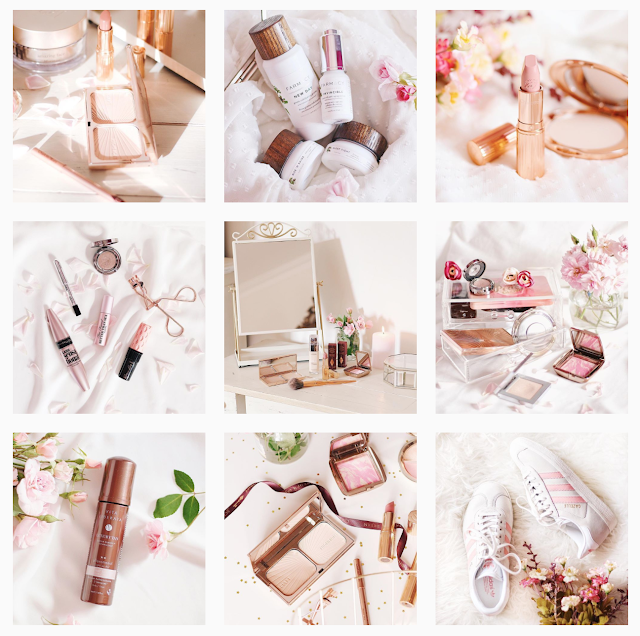 She manages to stick to her theme flawlessly but still produces creative and interesting photos with every post, she also features a good amount of drugstore products, so her account is bank account friendly! Caitlin has a heart the size of the Eiffel Tower, knowing her is like having your own personal cheerleader - She celebrates all of your successes, and will happily rant with you for hours about anything thats upset you, plus she's one of the funniest people I have ever met! Go and leave her a comment and you're guaranteed to get a super sweet or witty reply (seriously, go and try it!) Of course she wouldn't be on this list unless she had a truly beautiful account, it's bright, pink and feminine, and her photography knowledge is amazing too. If Amelia photographs a product, I buy it. She has an eye for the most beautiful things, and she somehow manages to make them look even more beautiful with her incredible photography. Amelia is another one who's posts I actually look forward to, even though my bank account weeps a little with every new photo! Occasionally I come across a truly beautiful account like Ash's, and I scream at my phone "how does she not have more followers?!" This girl deserves for thousands of people to see her gorgeous posts, but I'm glad that I'm one of the lucky ones who has discovered her! Her feed is a luxury beauty lovers dream, her makeup collection is truly enviable. 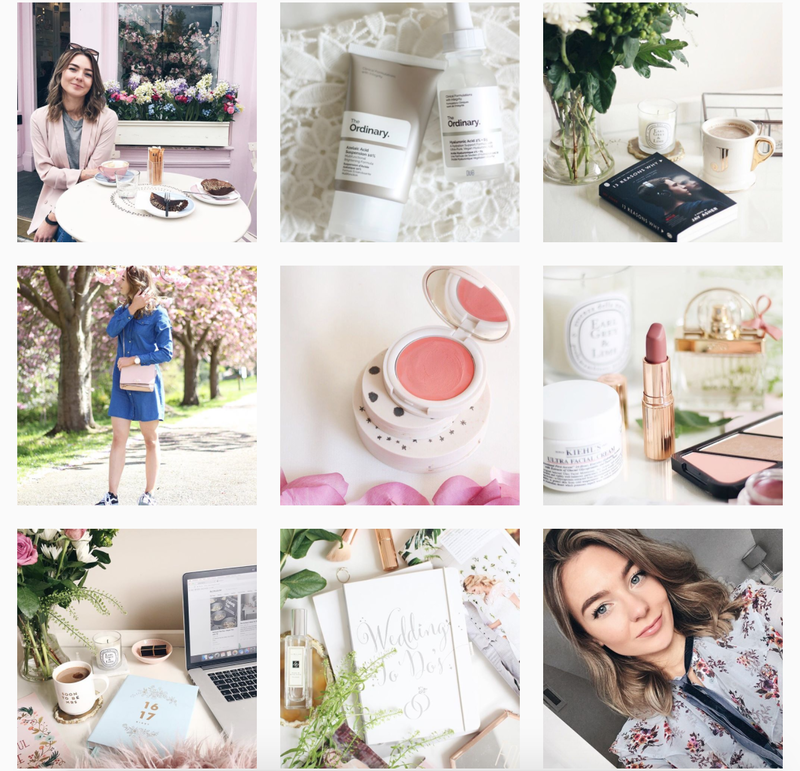 Of course I couldn't write about the most beautiful accounts on Instagram and not mention Lily's. Lily's account is probably the one I have loved for the longest, she's been a huge inspiration to me, and many other bloggers who are just starting out. 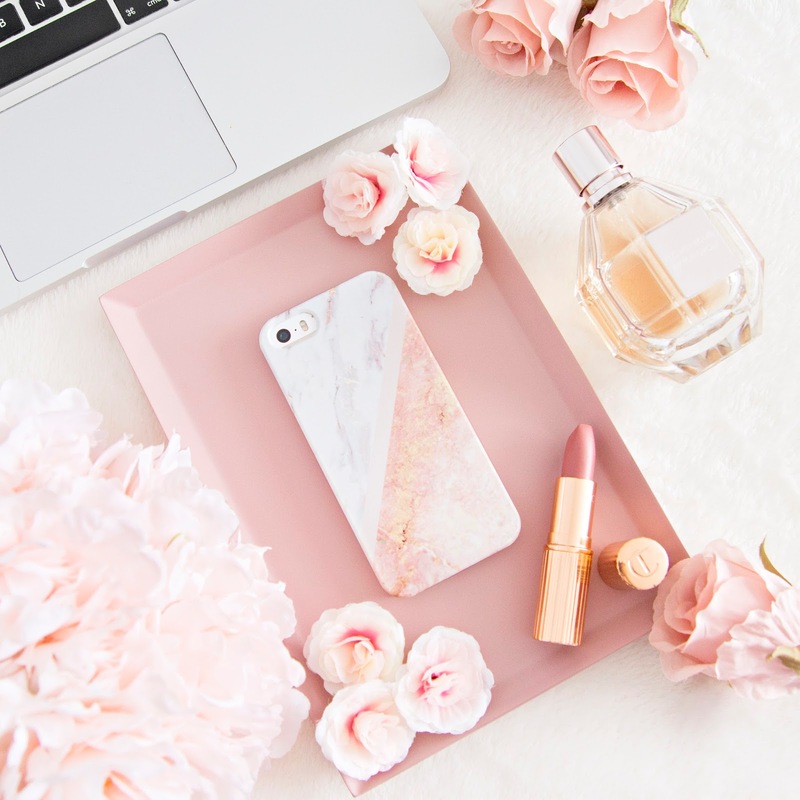 I love her bright white and pink theme, and she uses the most adorable props too! 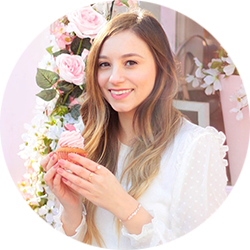 Lily is the ultimate beauty blogger guru; she knows so much about the world of blogging, and is such a sweet person, that I never feel shy about asking her for advice. 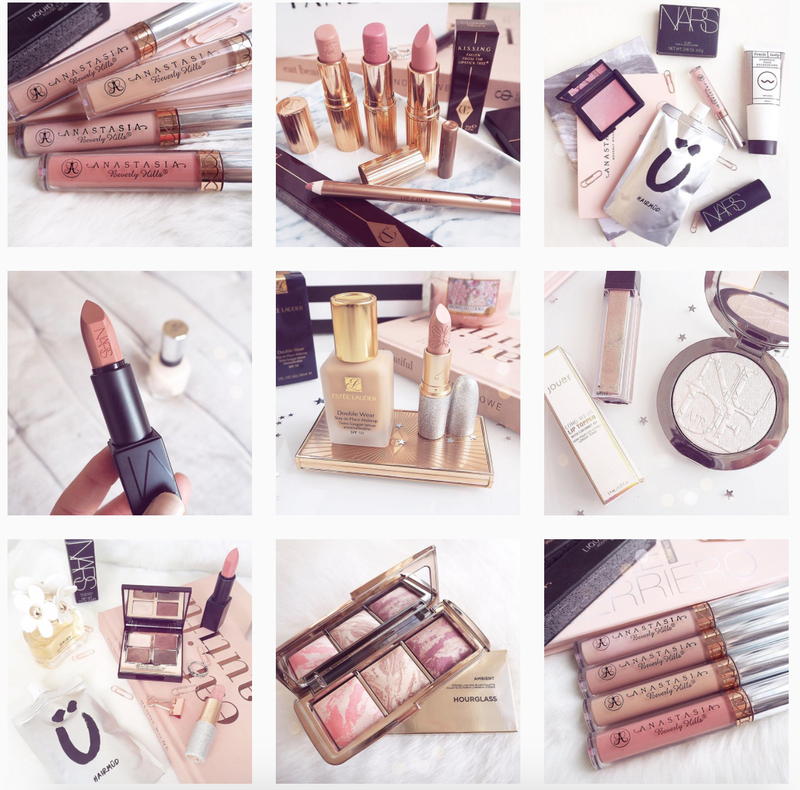 So those are 10 of my favourite accounts on Instagram, I could easily name another 10 that I love so I plan to do another post soon! 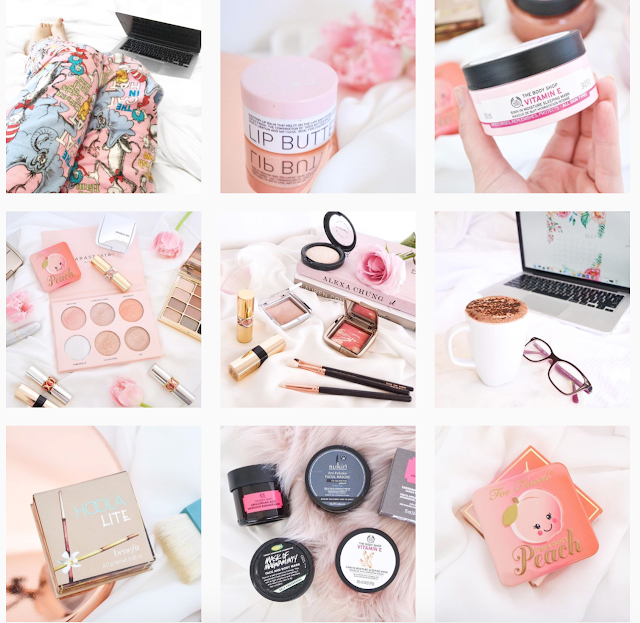 Let me know which accounts you've been loving recently in the comments!